Does MIT have one of the highest student suicide rates in the country? 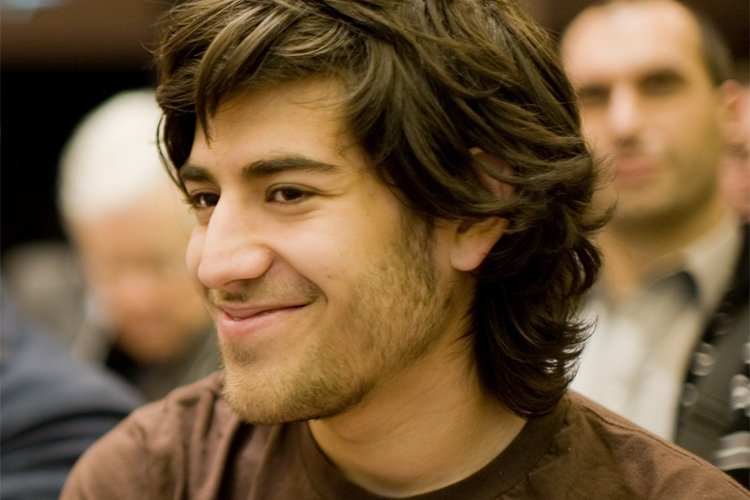 Prosecutor defends case against Aaron Swartz – CNN.com. Aaron Swartz isn’t the first brilliant mind at MIT to commit suicide, and the way things are going, he won’t be the last. Since 1988, 19 men and 4 women MIT students have committed suicide. The national campus suicide rate was estimated at 7.5 per 100,00 students. MIT’s rate was 10.2 per 100,000 students (undergraduate and graduate students). MIT’s breakdown of its undergraduate suicide rate was 20.6. This was from an outdated Boston Globe study of college suicides, 1990-2001. Even when this study was done, suspicion was surrounding MIT and their high rate of brilliant students taking their own lives. Mark R. Kordos, 18. April 8, 1988. Jumped off the 13th Floor of MacGregor House. Straight A student, Kordos had been active in the Musical Theatre Guild, playing lead roles in two productions. He was demanding and a perfectionist. He had a 5.0 grade point average. He was a junior in Electrical Engineering and Computer Science and would have graduated in 1989 at age 19. In a letter from his parents, Ronald and Betty Kordos said, “In its quest to remain the premier institute in training and graduating the best-prepared and most-promising engineers and scientists in the world, MIT has become de-humanized. And by disregarding the limitations of the human mind and body, MIT has truly become a second-rate university. MIT, the “system,” and society took our son, and victimized him. What a price to pay to maintain your world-class standing! How many more will follow Mark? David G. Moore. July 4, 1990. Fell from the 5th story balcony in Senior House. Younes Borki. October, 1990. Fell from the 14th Floor of MacGregor House. Edward B. Hontz, Jr. June, 4, 1991. Died from falling off the roof of Building 66. Douglas P. Rodger. June 20, 1991. Died from carbon monoxide poisoning while in his garage at home. Jan Festus M. Moore. 1993. Jumped from the 15th floor of the Law Library. Melissa N. Ronge. February 26, 1996. Died when she fell to her death from the 14th floor of MacGregor House between 4-6am. Scott Krueger. 1997. Died after being in a coma for 3 days, apparent from alcohol poisoning. He was found unconscious in his room at Phi Gamma Delta. His blood alcohol level was 0.41 percent when he arrived at the hospital. Philip C. Gale, 19. Died March 13, 1998 from jumping from the 15th floor of the tallest high-rise on the MIT campus after drawing a physics formula on a blackboard showing what happens when a body falls from a great height. Then he slammed a chair through the classroom window and jumped more than 200 feet to his death. Gale attended Scientology’s “elite” Delphi Academy boarding school in Oregon from age 8 to 14, enrolled at MIT at 15, and took time off at age 17 to work for Earthlink, an Internet company with Scientology links (recently bought by Sprint). Richard A. Guy, Jr. died in 1999 of asphyxiation by nitrous oxide inhalation in the East Campus dormitory. He was 22. Michael P. Manley, 17. February 6, 1999. Died after falling from the 14th floor of MacGregor House in an apparent suicide. Chris Millard, 24. March 24, 2000. Fell to his death from the roof of Phi Beta Epsilon. Elizabeth Shin, 19. Died April 14, 2000 from self inflicted burns. From The Tech, MIT’s newspaper dated February 9, 2007, it was reported that the Massachusetts Superior Court dismissed charges against MIT and its police officers but did hold administrators and medical clinicians potentially liable for Shin’s death. This meant the 2002 civil wrongful death suit filed by Elizabeth Shin’s parents could go forward. Still facing charges were MIT Medical mental health doctors, an Associate Dean and a housemaster. Alarmed by the prospect that clinically untrained administrators could possibly be held personally liable for student suicides, schools in Massachusetts and elsewhere around the country filed amicus briefs in March of 2006. MIT wasn’t willing to “wait and see” and made an out-of-court settlement, announced in April of 2006. The Shin family agreed that Elizabeth’s death was likely an “accident.” The terms of the settlement were not disclosed, although the payouts would not come from endowment funds, but rather from insurance providers. Seth L. Karon, 21. February, 2001. Committed suicide in his hometown of Plymouth, Minnesota. Julia Carpenter, 20. Died April 30, 2001 by ingesting sodium cyanide. Julia had been stalked by Charvak Karpe for months prior. MIT did little to protect her. Julie Carpenter’s parents also brought a $20 million wrongful-death lawsuit against MIT and Charvak P. Karpe. Karpe wasn’t just another student. He was also employed by MIT. He stalked Julie, camped outside of her dorm room, twice violated Julie’s privacy by accessing her private computer files and he copied video of Julie and her boyfriend engaged in sexual activity and proceeded to show this video to other students in Random Hall, the dorm where Julie (and Charvak) lived. In addition to claiming that the MIT’s negligence resulted in Julie’s death, the suit also charged MIT with breach of contract for failing to provide a safe housing environment in which Julie was protected from harassers. The suit also charged Karpe with assault and battery. The out-of-court settlement was announced in September 2006. The terms were not disclosed. Charvak P. Karpe live in Cambridge, Mass. and has a Facebook page. It seems his life has gone on. Daniel S. Mun. Died February, 2004. Daniel was found in the Charles River. He was a Chi Phi fraternity member who had been last seen on December 5, 2003. Mun’s father reported to The Boston Herald that he had found a note on his son’s computer and that he seemed depressed and had said goodbye. Bhuwan Singh. May 7, 2004. Died from asphyxiation. Singh admired Mother Theresa and would do anything for anyone else to make their lives better, no matter what the sacrifice to himself. He enrolled in Auburn University after finishing 10th grade and entered the PhD program at MIT at age 21. Zhenxiu Mao. February 28, 2005. Mao generously donated money to poor elementary and high school students in China even though he did not have much money. He was incredibly smart and had high expectations for himself. He is survived by his wife, parents and brother, all of whom live in China. Shin-Kyu Yang, PhD 99, Research Associate, 44. July 10, 2005. Yang was a researcher in the MIT Center for E-Business, received masters and doctorate degrees from the Sloan School of Management, and was an assistant professor at New York University’s Stern School of Business prior to his return to MIT. He is survived by a wife and son. Pushpinder Singh, PhD, Postdoctoral Associate, 33. February 28, 2006. Brilliant and enthusiastic about learning, yet humble and kind, Singh is survived by parent, two sisters and his girlfriend. A Media Lab fellowship for undergraduates was established in Singh’s memory. Friedrich G. Henning. January 5, 2007. A second year graduate student in the Biology Department was found in his Boston apartment. He was originally from Hanover, Germany. 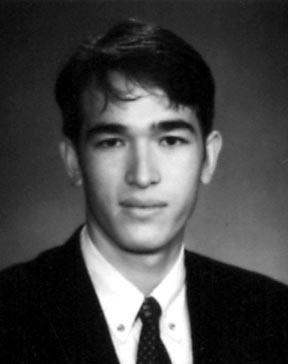 Aaron Swartz, 26. January 11, 2013. American programmer and internet activist, co-creator of RSS (at age 14), died from an apparent suicide. He was facing copyright-related legal issues. In 2010, he founded DemandProgress.org, a “campaign against the Internet censorship bills SOPA/PIPA.” Swartz’ death ignited a firestorm of discussion over the Internet, where he was regarded as something of a folk hero. Hacker News, a social news site popular within the tech community saw it front page dominated with posts about Swartz for two days. On Twitter, supporters of Swartz tweeted PDFs of academic papers in tribute of Swartz’ advocacy of free information.